More and more organizations are turning to the cloud to transform their business. Find out about the growing impact of cloud technology in this 2014 Cloud Survey report. $20+ billion and spanning more than a dozen major industries. Survey responses reveal a significant uptick in cloud usage as compared to their 2012 survey. And cost efficiency is clearly less of a driver today than it was two years ago, as more organizations seek to explore greater cloud potential for business transformation. Essentially, a new era is unfolding, positioning cloud as a key delivery model for the evolution of IT in business innovation. According to Forrester Research, the public cloud market is estimated to reach $191 billion by 2020, a significant climb from 2013’s total of $58 billion. Forrester asserts that cloud applications will lead this growth, achieving approximately $133 billion in revenue by 2020. Cloud platforms will follow, generating an estimated $44 billion in revenue, and cloud business services will amount to approximately $14 billion in revenue by this time. centralization to coordinate and manage applications across various devices, which will be increasingly important amid the evolving technology landscape. As cloud continues to prove its potential, business leaders need to evaluate and determine where the greatest strategic opportunities exist for cloud throughout their organization. Cloud continues to drive disruption in the business world across the globe. In fact, a recent global KPMG survey of nearly 800 technology industry leaders ranked cloud as the technology that will have the greatest impact in driving business transformation for enterprises. This is quite a difference from KPMG’s survey data of two years ago. While cost efficiencies clearly took the top spot (48 percent) in 2012, speed to adoption came in a far second with 28 percent. Having such a large gap between the top two responses emphasizes how cost was a much more powerful driver in 2012 than it is today. Other changes are also evident. Consider that better enabling a mobile workforce was cited as a cloud driver by only 14 percent of executives in 2012 but more than doubled in the 2014 survey, achieving a 42 percent response rate. Making such changes to an organization are costly and time consuming, but such a large increase in responses signals the tremendous impact, beyond cost reduction, that cloud can have on an organization. These results suggest that for many organizations, cloud has truly become a transformative solution. Rapid Scale: Enables IT to provision and modify complex infrastructure faster than traditional on premise systems. Agility: Cloud enables organizations to be more nimble and responsive to changing business needs. The impact of consumerization, an ongoing trend no business can afford to ignore, is reflected in how organizations are approaching cloud adoptions. The emergence of the digitally savvy customer calls for organizations to embrace new approaches and tools for external communication with customers and prospects. As such, one of the most important benefits cited by executives (36 percent) in their survey involves the ability to improve alignment and interaction with customers. An example of the importance of this benefit is illustrated by Cancer Treatment Centers of America, which is considering investing in a customer-targeted cloud solution to enable real-time, mobile monitoring of patients. This would also provide for improved communication with patients and their caregivers, even after they leave the medical center. Retailers also recognize the importance of using cloud to connect with consumers. Compared to other industries, retail executives in KPMG’s survey are more likely to say their organizations are using cloud to improve alignment and interaction with customers, suppliers and business partners (see data at left). To maximize holiday revenue, for example, it is critical for retailers to turn to cloud solutions to attract and support mobile shoppers. Consider that Shop.org expects sales in November and December 2014 to grow between 8 and 11 percent over last holiday season – to as much as $105 billion4. providing personalized and instantaneous service is the new requirement for success. Retailers that aren’t able to respond to the expectations of empowered consumers will see them jumping ship, as they tap into online pricing and product information and seize the best deals elsewhere. Clearly, consumerization is not only an external matter. “People’s expectations as employees are a lot different than they were ten years ago,” says Mark Shank, Managing Director of the Digital and Mobile practice at KPMG. Employees today demand the same access, experience and richness on their work computers and mobile devices as they have on their personal devices. Cloud is making that possible. Consider that employees are able to access systems through the cloud from wherever they are, without being limited by the processing power of a mobile device. This enables businesses to devise new work strategies. As such, organizations are turning to cloud to enable a more flexible and mobile workforce. The impact? Increased employee productivity (54%) and higher employee satisfaction and flexibility (48%) are the top two benefits KPMG’s survey respondents identify from using cloud to improve workforce mobility. NetApp, a network data storage and management solutions company, takes advantage of cloud-based offerings to help its employees support customers more securely, conveniently and efficiently. Another example includes KPMG’s digital and mobile practice, which was acquired from Cynergy in early 2014. This team is leveraging cloud-enabled mobile applications to help clients revamp the employee onboarding process, creating an improved mobile digital experience and adding a human touch to hiring. Onboarding isn’t just about processing paperwork. It’s about engaging new talent from day one, taking into consideration the needs of the people involved in the process: new employees, hiring managers and HR professionals. This customizable solution will not only break down silos between different business roles but also enable effective communication, keeping the new hires’ needs foremost in mind and revolutionizing the way we think about the onboarding process. “From day one, this really drives increased productivity, user satisfaction and longer term retention,” says KPMG’s Wright. Business analytics is at the center of today’s leading enterprise, informing strategic decisions that enable organizations to compete. And business analytics – a driver of cloud use in 35 percent of companies – can be greatly enhanced by cloud technology. Why? Cloud enables greater levels of data access and makes it easier to share data between IT systems and collaborate across the business. Additionally, because cloud data storage capacity is usually comparatively affordable, organizations can maintain and analyze massive amounts of data. As a result, progressive companies across industries are finding they can drive more robust data analytics with the support of cloud technology. Healthcare providers like CTCA, for example, can use the cloud as a powerful tool for clinical research, enabling medical professionals to access information about treatment options that may not be available internally. In the telecommunications industry, AT&T is looking at ways to leverage its internal data repositories alongside external customer data on the cloud, which would enable it to analyze network capabilities, utilization and customer demographics and offer more relevant products and services. At the same time, the company is moving to provide its customers a cloud infrastructure for storing and analyzing their own data, enhancing the customer experience. Finally, Emerson, a climate system manufacturing company, uses cloud-enabled big data insights to offer especially innovative and cost-saving heating, ventilation, air conditioning and refrigeration products to its supermarket customers. According to KPMG’s survey respondents, executives feel implementing the cloud has helped them improve business performance (73 percent), improve levels of service automation (72 percent), reduce costs (70 percent), rapidly deploy new solutions (67 percent), and achieve other important business objectives. And in many areas, organizations today are more successful in meeting their goals from cloud usage than when last surveyed in 2012. It is easy to see why. With the rise of costly cyber-attacks, as well as the increased scrutiny by regulators and stakeholders into corporate information protection practices, data security is a burning business issue across all areas of an organization, and cloud is no exception. But although many organizations have grown in sophistication when it comes to cloud deployment and usage, challenges remain. Many businesses that have moved on from the launch and getting started phase are now dealing with day-today concerns around cloud implementation. According to 53 percent of KPMG’s survey respondents, data loss and privacy risks are the most significant challenges of doing business in the cloud, followed by intellectual property theft, which was cited as challenging or extremely challenging by 50 percent. At the same time, when it comes to selecting a cloud solution, cost has been eclipsed by other factors – namely, security and data privacy. Organizations are increasingly expecting cloud providers to show capabilities to fully protect information assets in a cloud environment. In fact, comparing 2014 results with the answers from KPMG’s 2012 survey, security and data privacy have become greater concerns than cost efficiency. It is easy to see why. With the rise of costly cyber-attacks, as well as the increased scrutiny by regulators and stakeholders into corporate information protection practices, data security is a burning business issue across all areas of an organization, and cloud is no exception. But organizations cannot rely solely on cloud providers to guarantee data security. Cloud adopters need to understand the different security risks of different cloud offerings and take steps internally to mitigate them. At the application level, for example, an organization must ensure the application’s data is secure before moving it to the public cloud. From insecure passwords to insecure credentials, Software as a Service (SaaS) offerings also bring challenges. And at the Infrastructure as a Service (Iaas) level, any issues in the underlying operating system can spell big trouble. The good news is that while respondents acknowledge continued security concerns, results show a substantial decline from 2012, when 78 percent of executives named intellectual property theft a challenge, and 83 percent named data loss and privacy risk a challenge. This suggests that over time, security has become less of a challenge and cloud adopters may feel they’re better prepared now to secure their data, as well as manage data breaches when they do occur. As cloud adoption picks up pace, cloud is poised not only to grow in scale, but will also increasingly impact more and more areas of the business. And, as the data and interviews included in this report show, cloud adoptions are becoming more user-driven and focused on innovation. They do not only result in cost savings, but they can help organizations increase workforce flexibility, improve customer service, and enhance data analytics. In other words, cloud should be considered a key enabler of the corporate strategy, driving strategic business transformations of all kinds. Cloud is no longer just the focus of the IT department. It has become a top-level discussion that involves the entire management team and the board in order to make strategic decisions that drive transformation and enable innovation. It’s clear that organizations that embrace cloud as a management topic – beyond IT – will seize much greater potential from all that cloud has to offer. Here are five tips to help companies elevate the success levels of their cloud transformations – and elevate above the competition. Make cloud transformation a continuous process. To realize true long-term business benefits from cloud, cloud adoption should not be viewed as another technology implementation project, but rather a transformative journey spanning from strategy through execution. the transformation. Rather, organizations should seek to manage cloud transformation projects centrally, with a senior-level team that oversees the transformation process and guides strategic decisions. Focus on strong leadership and engagement. Cultural alignment through all levels of the organization is essential to managing the change associated with cloud transformation. Executive management should work to establish an aligned corporate culture at the outset, focusing first on getting the buy-in and support of cross-functional business leaders. Avoid silos. Cloud transformations succeed when organizations are able to embed change into every aspect of the business. As such, silos hamper transformation. In contrast, collaboration powers it. For example, business and IT professionals should work side by side as cloud is adopted into the enterprise. Measure success. Organizations should develop realistic and measurable outcomes for their cloud transformation projects that tie back to key business objectives. A value- and metrics-driven approach to cloud transformation enables the organization to know when milestones are reached and stay focused on achieving strategic goals. In March 2014, Forbes Insights, on behalf of KPMG, conducted a web-based survey of 539 global business executives. Information originally obtained from KPMG. View it here. 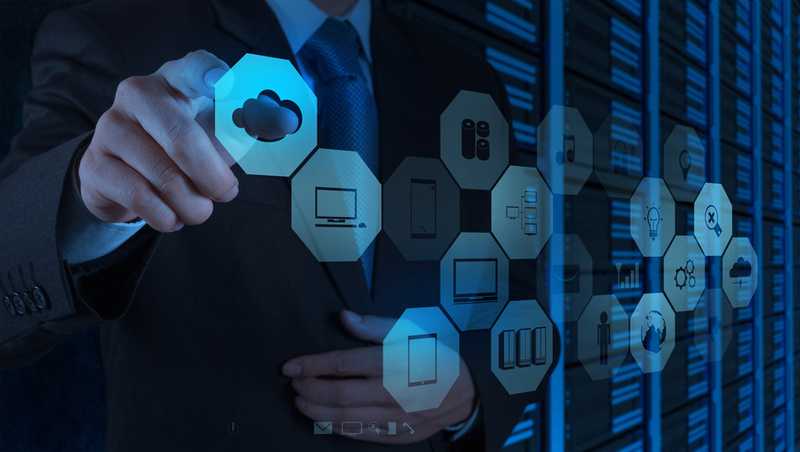 OC Cloud9 offers a diverse menu of Cloud Solutions such as Hosted Exchange, Virtual Server Infrastructure, Hosted Applications, Virtual Desktop Infrastructure, Public, Private and Hybrid Cloud Solutions customized to meet your needs. Contact a member of the OC Cloud 9 team at 949-699-6619 or via email for more information.